"We're a four-piece based out of Boston. We came together in August of 2011, sharing loves of Black Sabbath, Mastodon, Electric Wizard, and the almighty riff. This EP spans many facets of the stoner/sludge/doom sounds, from moody and atmospheric, to uptempo stoner rock to crushing doom." 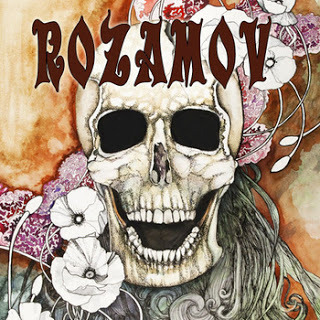 In late 2011 Matt, Tom, Liz and Will came together to form Rozamov. The goal of the band is to be a collective creative outlet for its members. Join us as we venture into the depths of all things heavy.